All Milford homes currently listed for sale in Milford as of 04/18/2019 are shown below. You can change the search criteria at any time by pressing the 'Change Search' button below. "Hill Top Ranch is a fitting name for a property that boasts as many views as this one. 454 Acres sprawled out in Hill county consisting of large rolling hills lush with grass. Ranch house, 5 stall horse barn, 4 Tanks, fenced and cross fenced, roping pen, large barn, and tons of covered parking are a few of the amenities available. The location and orientation of the house makes you feel like you re the only person around for miles. With co-op water, and nearly 4500 feet of FM 2959 frontage, t"
"WOW, CASA CON VISTA ,BEAUTIFUL HOME AND Your own private landing strip 2800 FEET LONG with airplane hanger or 50 x 50 LARGE shop, Must see all you could ask for in the country living close to I 35 W and 40 minutes south of Fort Worth and Dallas Beautiful home and HILLTOP view. 4 bedrooms or 3 bedrooms and office. Wood burning fireplace Dry bar in living room. Beautiful granite counter tops in kitchen eat at bar between dining and kitchen lots of cabinets. 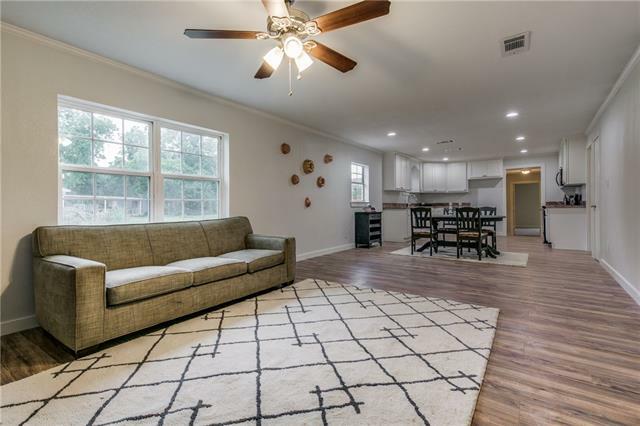 master has been updated tile separate"
"Come enjoy the country, listen to the birds sing in the morning in this Beautiful Ranch Style Home with circle drive and mature trees in front. 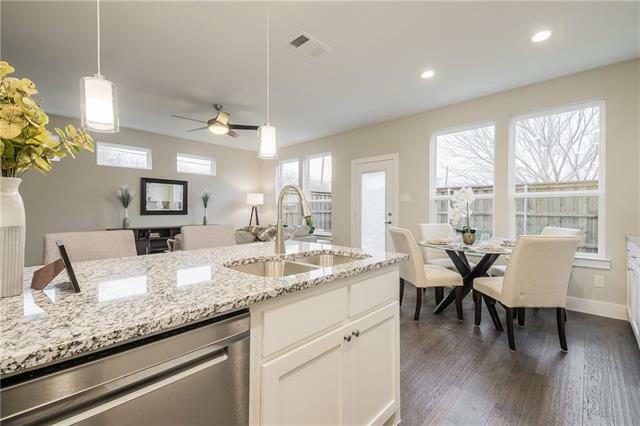 Completely remodeled, All new windows, Life-proof sterling oak vinyl plank flooring, interior-exterior new paint, kitchen remodeled with new counter tops, appliances and fresh paint on cabinets, all new light fixtures and ceiling fans. Extra storage room is the 20X20 unfinished garage conversion. Fruit trees include: Fig tree, Persimmon, Pear tree, Pomeg"
"Fully renovated! Basically a BRAND NEW 4 bedroom- 2 bathroom Home! All new! Large, family home across the street from Schools! Home has been completely renovated with new: low e windows, exterior siding, roof, custom-wood cabinets, carpet, appliances. New HVAC, water heater, entire plumbing system new. Large master bedroom with awesome bathroom and massive walk-in closet. Granite in the kitchen and bathrooms. Buyer and agent to verify all within"
"This is just 1 of 6 homes left! Gorgeous New Custom Homes at the PRICE you ASKED FOR! 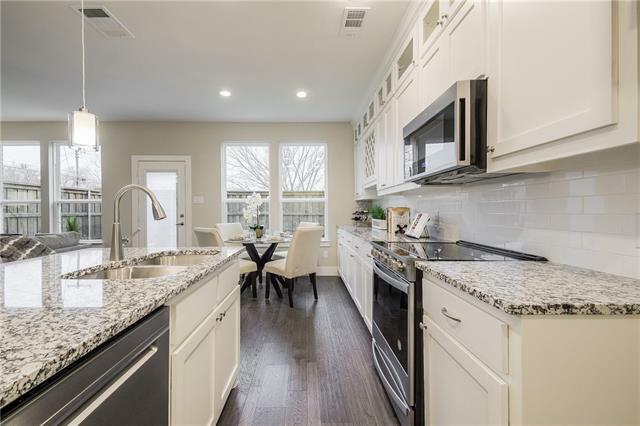 This 3 bedroom, 2 bath home features custom cabinets, granite counter tops, a vibrant white tile back splash, and a gourmet kitchen with a separate pantry. Features porcelain floors throughout the kitchen and dining room area. The master bath features, granite vanity with dual sinks and chrome plumbing fixtures. 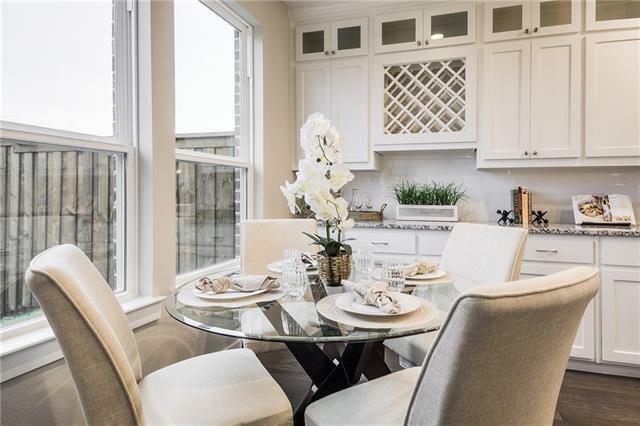 With just a few lots left in Hudson Square phase I, It's time to sit down and talk about making this"
"Freshly redone! roof, elec central AC & heat, floors, paint, just beautiful. Bedroom 3 could also be dining, study, etc. Wood floors in living & 2 bedrooms, laminate in back bedroom & kitchen,breakfast, pantry areas. Front porch 10 by 19, wood floor, beaded ceiling. Covered back porch 13 X 14, kitchen porch 5 by 6. See-through fireplace between living & 1 bedroom. Adorable country farmhouse kitchen, breakfast area, corner pantry. Shop 12 by 11 has electricity, concrete foundation. Detached pavi"